Many companies have started their journey for setting up a Test Center of Excellence. They also allocate more of the overall IT Budget on increasing the quality on the applications. A Test Centre should be responsible for some of the IT Departments goals for delivering measurable improvements in quality, faster time-to-market, cost reduction and more efficient IT operational processes. To read the full post and add comments, please visit the SogetiLabs blog: Six corner stones of a Test Center of Excellence. Gro Rognstad has a passion for Testing and Quality. She is Chief Technology Officer in Sogeti Norway and responsible for bringing our testing services and innovations to customers and employees. 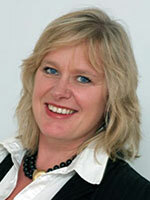 She is a senior advisor with a broad background and 27 year in IT - the last 17 years focusing on Testing and Quality. She advises organizations on innovation and Quality Transformation projects. Gro is active as a course trainer and speaker at seminars. In 2007 Gro was in the management team starting up Sogeti as a company in Norway. Gro is leader of Testing Services Community in Global Service Line Testing at Sogeti Group. She is also member of Global Testing Leadership Community in Cap Gemini group. In addition to that she is engaged as a board member of the Norwegian Computer Society, Community for Software Testing.